The local fire department was able to remove the man from the vehicle and he was taken to hospital by ambulance, but was pronounced dead there. 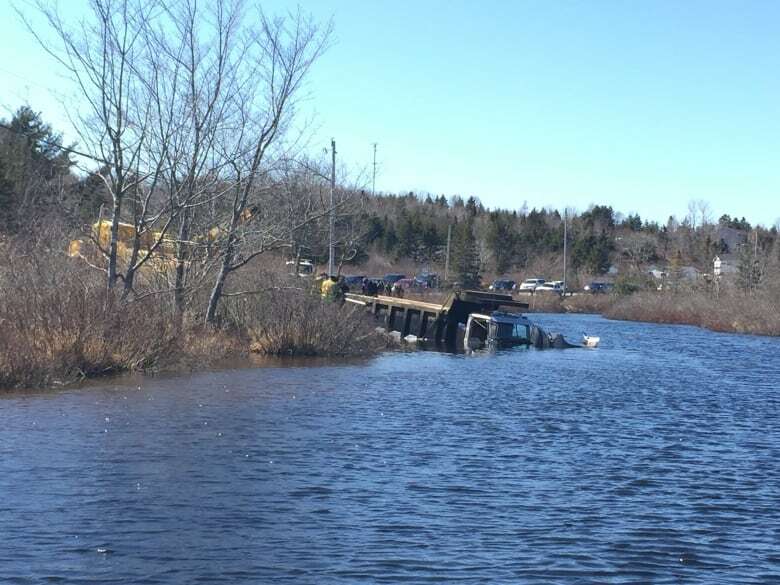 A 64-year-old man is dead after the dump truck he was driving became submerged in the Partridge River in East Preston, N.S. RCMP say they responded to the call just after 5 p.m. Saturday. The local fire department was able to remove the man from the truck. He was taken to hospital by ambulance and was pronounced dead there. Crews worked Sunday afternoon to tow the dump truck out of the river. The investigation into the single-vehicle crash is ongoing. This accident is the latest in what was a deadly weekend on Nova Scotia's roads. 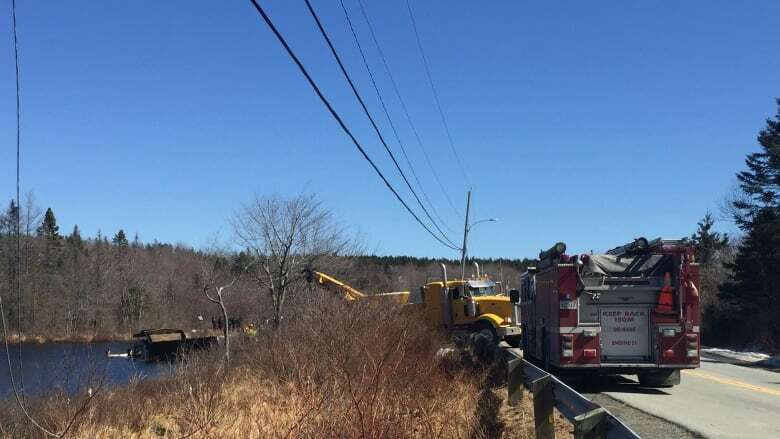 A vehicle crashed and caught fire in Eastern Passage early Saturday morning, killing three people, while a crash in River Philip on Friday night left one man dead after his vehicle left the road and struck a pole.